The belief to do something that’s never been done before, and the gumption to actually make that happen – has brought us big results! The year is 2015. Most of the large agencies are already dominating traditional awards. Many new agencies have begun operations; some in this year, and some earlier. Can these new agencies establish creative supremacy without losing emphasis on business effectiveness? Enter Foxglove Awards – the Afaqs! event that gives agencies less than 12-years old the opportunity to express themselves creatively. The third edition of Foxglove Awards was held in Mumbai’s Four Seasons Hotel, Worli, on May 18, 2017. The entries for this year’s Awards were broken up into eight categories and about 31 sub-categories. The idea was to identify national as well as regional champions, hence agencies could also apply for either geography. All the entries were first vetted by a 17-member jury before being cleared for final review by a Grand Jury, which was made up of the who’s who of the advertising industry. LIQVD ASIA is proud to announce that we have bagged a total of 10 awards, covering different categories, for our campaigns for Legrand and GAIL. Getting an award is always fulfilling, but getting 10 is pure ecstasy! 1 Silver (Content Marketing [Content] Regional); 1 Bronze (Content Marketing [Distribution] Regional). What’s more? Our #HawaBadlo campaign for GAIL won us: 1 Silver (Content Marketing [Content] National), 1 Silver (Content Marketing [Content] Regional), 1 Silver (Digital [Creative use of Social Media] Regional); 1 Bronze (Digital [Best Innovation in Design] Regional). Arnab Mitra, Managing Director, LIQVD ASIA WORLD WIDE sums up this achievement, “There are awards & then there are awards, we are working for the latter”. This would not have been possible without the faith of our clients and our belief in delivering groundbreaking digital work. 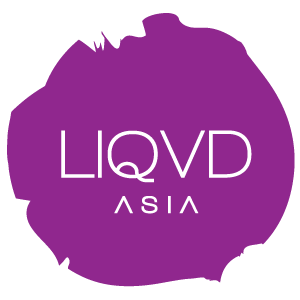 At LIQVD ASIA the focus is, and will always be, to have fun in our journey to bag more awards in the future.